Muita curiosidade neste livro: primeira incursão do ex-presidente americano Bill Clinton pela ficção, em parceria com James Patterson. 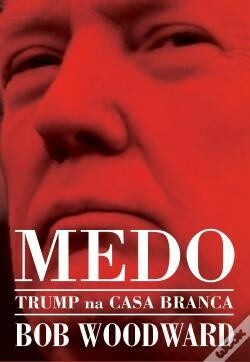 Um grande escritor e um ex-presidente a escreverem em dupla sobre... o desaparecimento de um presidente. Tem todos os ingredientes para ser um bom livro. Espero que seja traduzido a breve prazo. An unprecedented collaboration between former US President Bill Clinton and bestselling thriller writer James Patterson. The President is Missing brings together first class fictional credentials, with unique inside information on the workings of the White House and the president’s inner circle. What follows is the most dramatic three days any president has ever faced - and maybe the most dramatic three days in American history. And it could all really happen. Full of details only a president could know, Bill Clinton and James Patterson have written the most authentic - and gripping - presidential thriller ever.